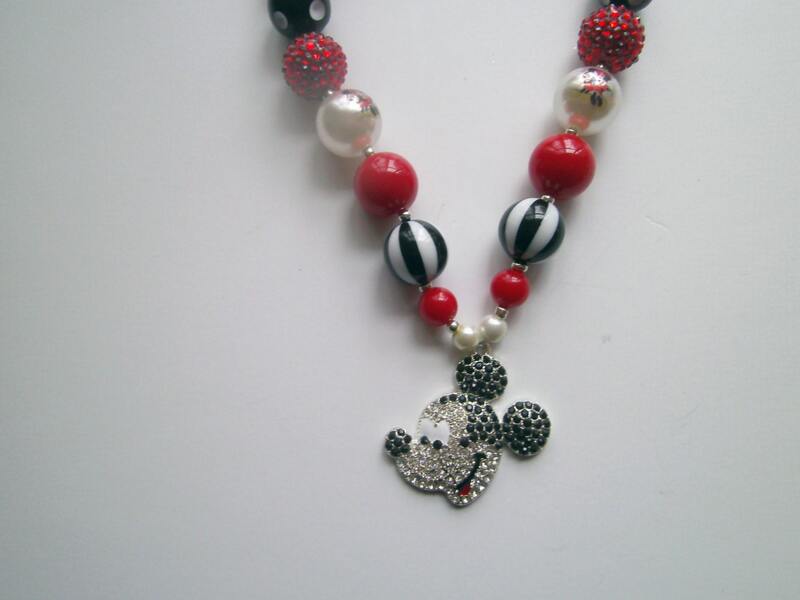 For those Disney lovers, This Mickey Mouse Rhinestone pendant necklace would make a great gift. The beads are strung with beading wire and finished with lobster clasp. I used rhinestone beads,acrylic beads,and pearl beads to make this vibrant and shinny necklace. 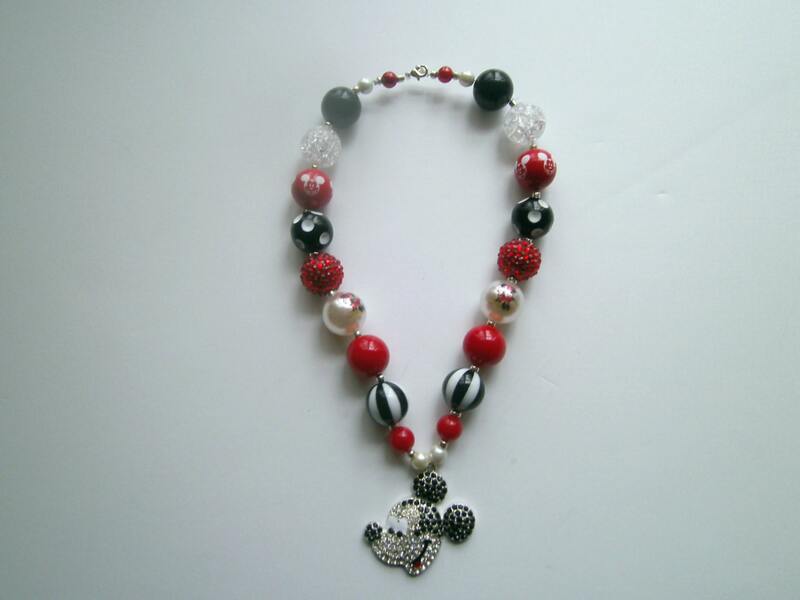 The neclace is handcrafted by me, I try to make each one different making these one of a kind. The necklace is 18" not including pendant. 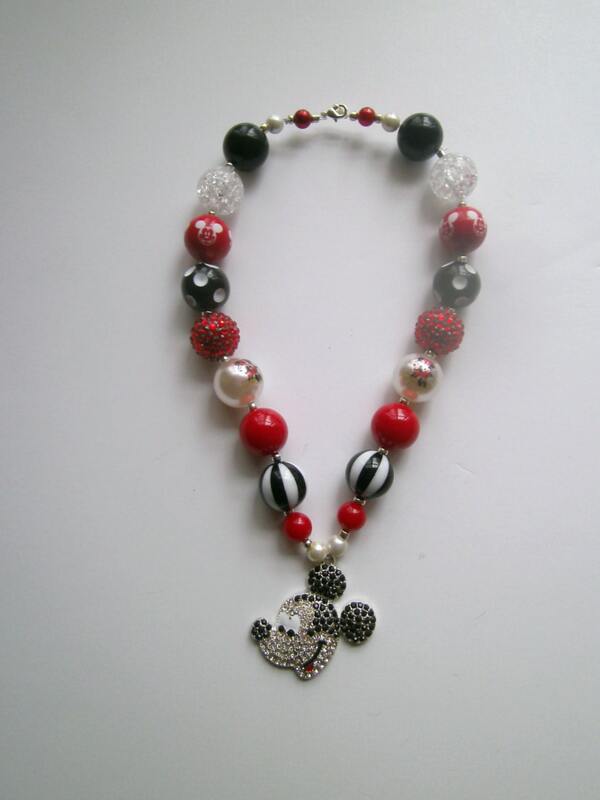 The chunky bead,bubblegum necklace would make a great Birthday gift for that special little girl. Makes a great accessory for any outfit or a great photo prop.